The year was 1965. It was the year that Sir Winston Churchill died. It was also the year that Ferdinand Marcos was elected President of the Philippines. 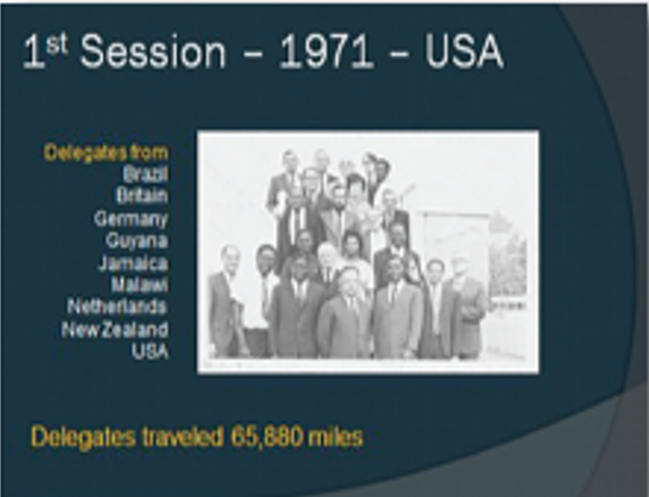 And the year that Singapore was admitted as a part of the United Nations. 1965 was also the year that Rhodesia proclaimed independence from Britain. And the year Malcolm X was assassinated. That same year Israel and West Germany began diplomatic relations. And India and Pakistan began engaging in their border fight. And Tibet became an autonomous region of China. 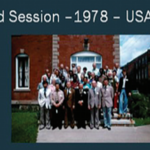 But for Seventh Day Baptists globally, 1965 was the year the World Federation came into being with a composition of four (4) conferences, although there are ten (10) charter members, since that distinction was given to any conference becoming a member up to one year after August 1965. 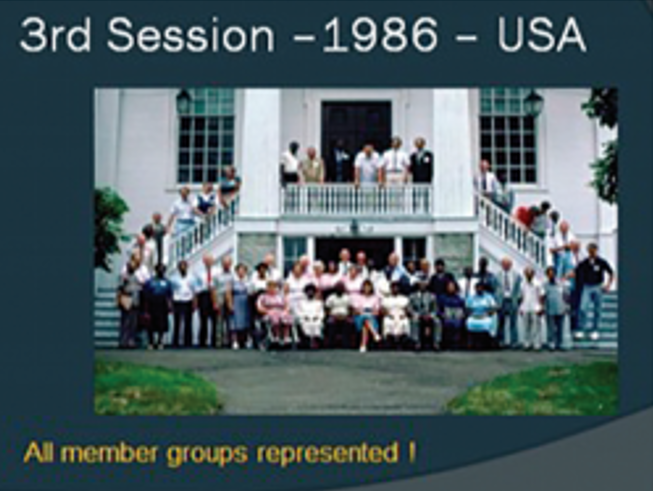 A world consultation of delegates had taken place in Clarksburg, West Virginia, USA in 1964, which furnished the embryo for the birth of the international organization. 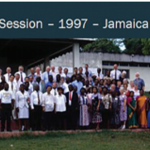 The primary purpose of the establishment of the Federation was to provide increased communication among Seventh Day Baptist groups throughout the world. Other purposes were added in subsequent years. 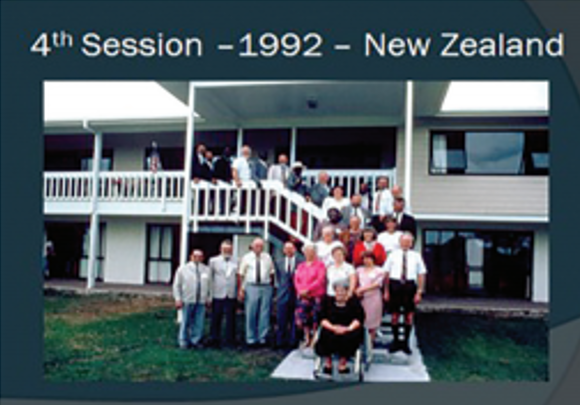 Since 1965, the Federation has met seven (7) times — 1971, 1978, 1986, 1992, 1997, 2003, 2008 — in four (4) countries: USA, New Zealand, Jamaica, and Brazil. 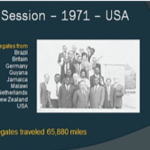 It has been ably served by six (6) Executive or General Secretaries, namely Alton Wheeler, K. Duane Hurley, Dale Thorngate, Frits Nieuwstraten, Jan Lek, and Andrew Samuels. 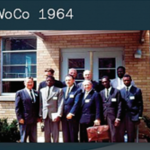 Presidents of the organization have also numbered six (6) in the persons of Loren Osborn, David Pearson, James Skaggs, Gabriel Bejjani, Joe Samuels, and Dale Thorngate. So, to date, Rev. Dr. Dale Thorngate has the distinction of being the only individual to serve the SDB World Federation as both Executive Secretary and President. 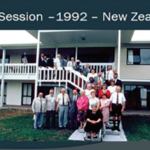 2015 then is the fiftieth (50th) anniversary of the Federation. That is a milestone worth recognizing and celebrating. We are very grateful to the Lord, without whose enabling power none of the above would be possible. 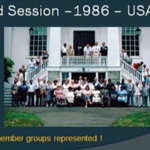 We are also appreciative of the current 18 member conferences of the Federation, as well as those who have been members in the past, for their support of the organization’s work over the years. The current officers who make up the Executive Committee, plus those previous officers, also deserve special mention and commendation. The purposes of the Federation have been broadened in 50 years, and the facilities for international communication have greatly improved with the development of technology. The Federation’s leadership remains committed to positioning us to be world class Seventh Day Baptists, where we change our thinking from local to global, and our perspective is adjusted from self-centered to other-centered. 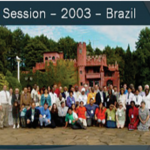 As we continue to plan for the next Session of the World Federation in Brazil, January 22-28, 2017, we want to use this semi-centennial (50th) year to give Seventh Day Baptists all over the world, an opportunity to join us in raising funds to ensure that at least one delegate from each of the member conferences will be able to attend the upcoming Session in Brazil in 2017. 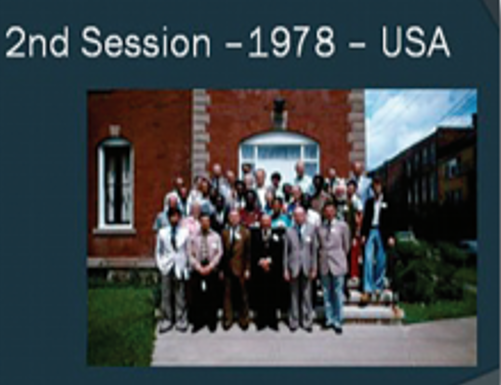 The Session is not just a meeting. It is more than simply an event. 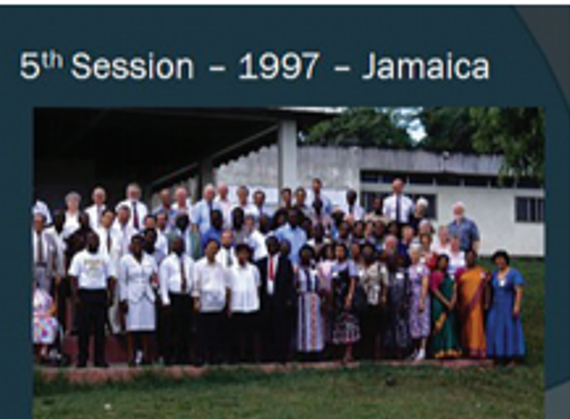 It is an integral component in the all-important and continuing process of uniting Seventh Day Baptists globally. As we celebrate 50 years of existence, we are hereby launching a campaign to raise US$50,000 by asking 1,000 Seventh Day Baptists to invest the equivalent of US$50 each. This drive will continue until June 30, 2016, and for your donation you will become a GLOBAL SEMI-CENTENNIAL PARTNER WITH THE SDB WORLD FEDERATION. 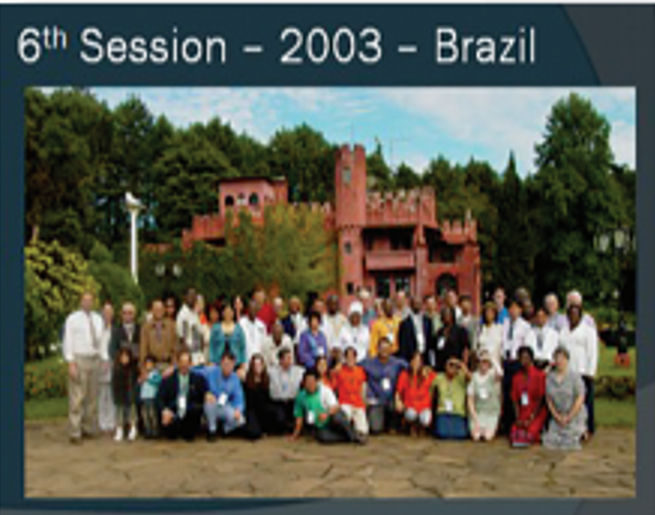 As a further incentive, the first 500 donors will receive an inflatable globe which can be helpful in locating each of the member conferences in the world, and motivate you to pray for them even more. 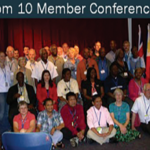 1,000 is only 3.3% of the estimated 30,000 SDB’s worldwide in our member conferences, so this should not be a difficult goal to reach, even with great disparity in the availability of disposable income among our people. We urge you to view this as an investment, not as an expense. Of course, this specific fundraising drive does not mean that larger or smaller donations will not be accepted. Nor does it mean that churches and/or other entities may not contribute. 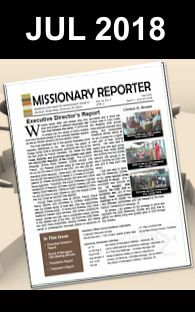 We continue to encourage you to be responsive to the leading of the Lord in your stewardship to the Seventh Day Baptist World Federation. Donations may be sent directly to the Federation Treasurer, Gavin Fox, at P.O. Box 7755, Silver Spring, MD 20907, USA or by paypal at treasurer@sdbwf.org.